OpenCV is the world’s most popular computer vision library and it’s used extensively by researchers and developers around the world. OpenCV has been around for a while now and they add something new and interesting with every new release. One of the main additions of OpenCV 3 is “opencv_contrib” which contains a lot of cutting edge algorithms for feature descriptors, text detection, object tracking, shape matching, and so on. They have greatly improved Python support in this release as well. Since OpenCV is available on almost all the popular platforms, this version looks very promising. Let’s see how to install OpenCV 3 with Python support on Mac OS X.
CMake: Make sure you have cmake. If you don’t, you can download it from here. It’s a dmg file, so you can just download it and run the installer. If you see “/usr/local/bin/python” printed on your terminal, you can proceed. Download OpenCV 3.0.0: You can download it from here. Download “opencv_contrib”: As discussed earlier, we can use the latest computer vision algorithms from “opencv_contrib”. It is basically a repository that contains state of the art algorithms. Bear in mind that some of them are not free for commercial use, but it is great tool to learn new algorithms. Download opencv_contrib from here. CMAKE_BUILD_TYPE=RELEASE : We are telling cmake that we are building a “release” version of OpenCV. PYTHON2_INCLUDE_DIR : This is the path to Python header files for compilation. INSTALL_C_EXAMPLES : This flag indicates that the C/C++ examples need to be installed after compilation. INSTALL_PYTHON_EXAMPLES : This flag indicates that the Python examples need to be installed after compilation. BUILD_EXAMPLES=ON : This flag indicates that we want to compile the included OpenCV examples. OPENCV_EXTRA_MODULES_PATH : This flag indicates that OpenCV should compile the extra modules (opencv_contrib) that we downloaded earlier. $ python -c "import cv2; print cv2.__version__"
If the above line doesn’t throw an error, then you are all set! 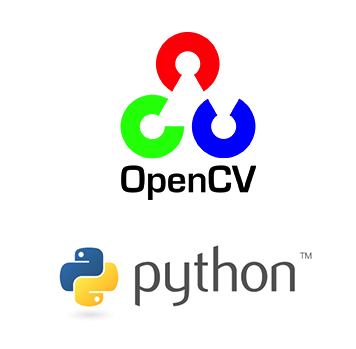 You have now successfully verified your OpenCV 3 installation with Python support. This entry was posted in Computer Vision and tagged OpenCV, Python by Prateek Joshi. Bookmark the permalink. Looks like Python is unable to find OpenCV. Did you set DYLD_LIBRARY_PATH to “/path/to/opencv-3.0.0/build/lib” in your “~/.profile” file? Updated PYTHON2_LIBRARY and PYTHON2_INCLUDE_DIR values to reflect my installation (e.g., /usr/local/Cellar/python/2.7.10_2/… blah). Build then succeeds, as does C++ test for version. ImportError: No module named cv2. BTW, you can apparently leave off both PYTHON2_LIBRARY and PYTHON2_INCLUDE_DIR and it builds fine (still does not work, however). Did you set DYLD_LIBRARY_PATH to “/path/to/opencv-3.0.0/build/lib” in your “~/.profile” file? Any ideas you might have would be greatly appreciated! Are you using brewed python? To check, you can type “which python” on your terminal and you should see “/usr/local/bin/python”. Any ideas how to point cmake to its right directory? You don’t have to uninstall OpenCV 2.4.9 to make 3.0.0 work. But if you really want to get rid of it, you can uninstall cmake using brew. This way, you can get your cmake to point to /opt/local/bin and get through the uninstallation process. I have set DYLD_LIBRARY_PATH to “/path/to/opencv-3.0.0/build/lib” in my “~/.profile” file and when I type “which python” I get /usr/local/bin/python as I should. If you could help me, I’d greatly appreciate it! I also faced the same problem in C++ part. Any suggestion would be highly appreciated. You only need to install pkg-config. Thanks Vikrant. I’ve added the parameter in the cmake command.